While those ignorant of Gabrielle’s talents might advocate giving the ever-energized woman a well-deserved vacation, I’m afraid the daily regulars at the Bent Spoon have no such thing in mind. Residency in Brooklyn has limited me to far-from-daily consumption of Gabrielle’s creations, but I have visited The Bent Spoon a few times, and have several friends whom I can’t imagine would last even a week without a trip to the shop. 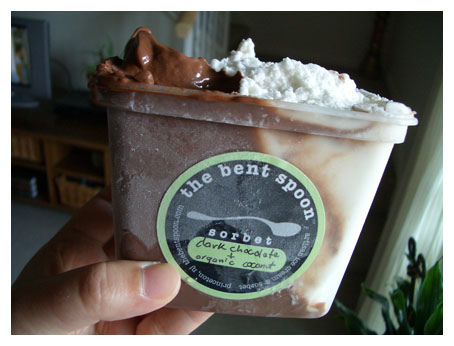 The creator of The Bent Spoon holds a unique position in the community of New Jersey farmers and Princeton restaurants: she is a sort of middleman between them, and one whose talent is greatly appreciated. 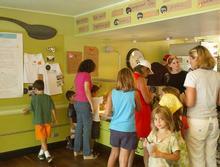 The retail shop is the focus of Gabrielle’s business, but The Bent Spoon also distributes ice cream to about fifteen restaurants in the area. 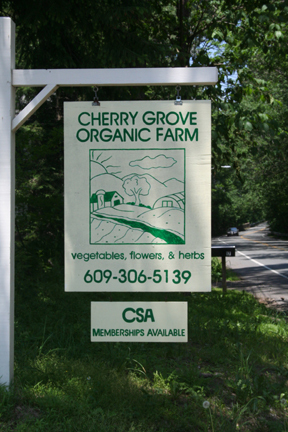 While these restaurants otherwise seek to source directly from farmers, they appreciate a producer whom they can count on to buy local ingredients. Meeting with Jessamyn Waldman was a close-up reminder of the multi-faceted creativity and perseverance it will require to build a new food system in this country. Jessamyn has her own perspective on sustainability, a powerful one, of immigrant justice and fair labor practices, and one she has made manifest by baking bread, a substance she considers simultaneously cultural and universal, common, and yet symbolic. 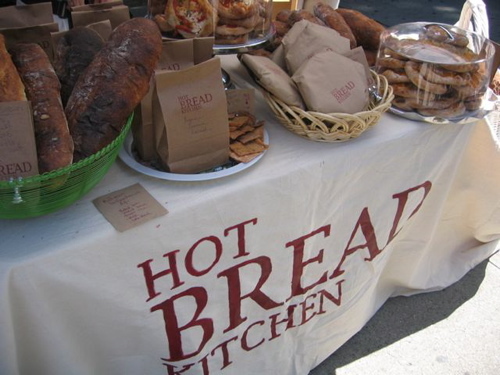 Hot Bread Kitchen is a non-profit bakery business that provides employment opportunities for immigrant women while honoring and preserving their bread-making skills and traditions. Just over a year after founding the Kitchen, Jessamyn now works part-time with four bakers to produce a small set of breads: French baguettes and multi-grain loaves, Italian focaccia, hand-ground Mexican corn tortillas, and an organic, Armenian lavash. The ingredients in the bread are locally grown and organic whenever possible. While the women of Hot Bread Kitchen sell at the community market in Dumbo and at the Brooklyn Flea, most of their breads go to wholesale customers. Their products can be found in Manhattan at Eli’s and Saxelby Cheesemongers, and in Brooklyn at Blue Apron Fine Foods, Foragers Market, Get Fresh,Greene Grape Provisions, Marlow & Sons, Stinky Brooklyn, Urban Rustic, and Victory Café. While working part-time as the administrator at a local high school, Jessamyn earned her Master Baker Certificate from The New School. She then began work as a baker at the New York restaurant Daniel. She looked into organizations with moderately similar missions to her own, including Mama’s Hot Tamales in Los Angeles, Greyston Bakery in Yonkers, and St. John’s Bakery in Toronto. She founded Hot Bread Kitchen in May 2007, and received a grant from the Eileen Fisher Grant Program for Women Entrepreneurs in November 2007. Hot Bread Kitchen bakers currently include women from Afghanistan, Togo, Mexico, and Ecuador. They currently bake bread only a few times a week, in the commercial kitchen of the Artisan Baking Center in Long Island City. As employees, the bakers are offered weekly ESL classes, taught by volunteers. Jessamyn looks forward to the growth of Hot Bread Kichen, to the establishment of a permanent bakery location, and to offering the bakers full-time jobs. A recent recipient of the 2008 Echoing Green Fellowship, Jessamyn is only now able to devote herself full-time to Hot Bread Kitchen. Jake Dickson matched my expectations in appearance and style. Meat guys don’t have the lanky, longhaired look of gardeners or foragers. Jake’s short ruddy curls and friendly, freckled stature fit his profession. His frank, good-natured, manner shifted easily between small talk and sales, of steaks and chops, roasts and ribs, beef and bacon. Still, I’d underestimated the wealth of knowledge that plays foundation to his recently launched business. After we spoke for an hour over breakfast, just before the Sunday market in Park Slope, it was obvious to me that Jake could have kept talking all day. He may have grown up in Princeton, attended Cornell, and worked in marketing for American Express. But now, the man knows meat. Dickson’s Farmstand Meats is currently a fixture at two weekly markets, in Morningside on Saturday and in Park Slope on Sunday. Offering various cuts of beef, lamb, and pork, Jake knows where each piece of meat came from, how the animal was raised, and the slaughterhouse where it was processed. He buys whole animals from specific farms, and works with two small slaughterhouses. If you’re interested, he’ll tell you everything there is to know about your protein. 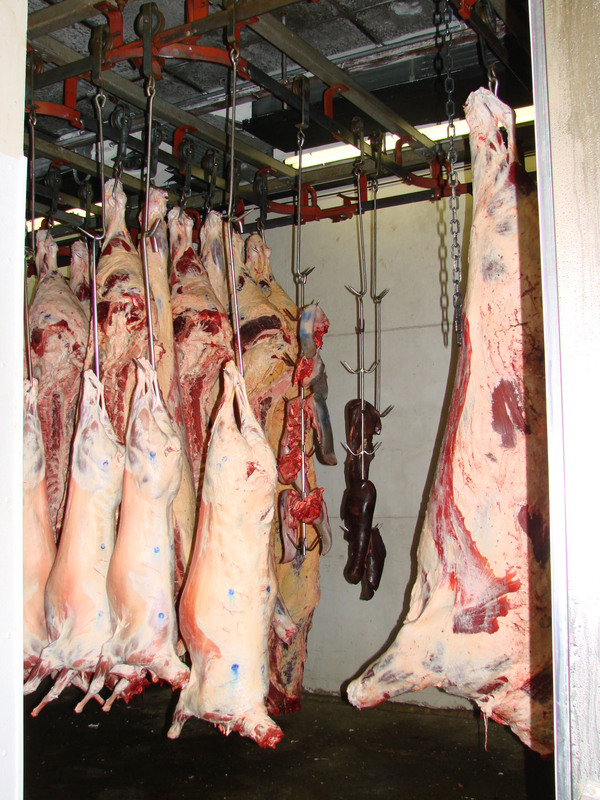 The baseline requirements of meats sold through Dickson’s Farmstand are the following: between farm, slaughterhouse, and point of sale, there are less than 400 miles; the animals are given neither antibiotics nor animal-based feed; the animals have never spent any time on CAFOs or feedlots. Traceability is a priority for Jake, and the meat he sells has a lot number which will tell you the exact animal it came from, and how, where, and by whom it was raised. All of the farms Jake currently works with are in New York State: the cows and pigs are raised at Herondale Farm in Ancramdale, Wrighteous Organics in Schoharie, The Pigs Place in Fort Edward, and Sarmarlynn Farm in Vernon; the sheep, at Woolley Sheep Farm in Rutland. Jake set his local radius with the confidence that there’s enough quality meat raised within 400 miles of New York City to feed a healthy business. In fact, “it’s slaughter houses that are my most important relationship,” he said. “Fifty to seventy-five percent of slaughterhouses are untrustworthy.” Jake works with Nichols Meat Processing in Altamont, New York, and Leona Meat Plant in Troy, Pennsylvania. Both are locations where “a busy day means slaughtering about ten animals,” and where he can trust the butchers to follow his exact specifications. Jake spent three months working at Nichols last year, respects the skill and experience demonstrated at both locations, and has built up a strong relationship with the individuals who run them. Jake’s three months at Nichols Meat Processing rounded out eight months he dedicated to research before opening Dickson’s Farmstand. Last spring, having previously worked in marketing for several years, Jake knew he wanted to start his own business, was interested in meat, and recognized the need to really understand the industry before attempting a business plan. He worked for three months at Cornell University, literally living with about 700 cows, before moving on to work at a butcher shop for about a month. He left the butcher shop to work part-time at Nichols and part-time at the Stone Barns Center for Food and Agriculture. He learned what he could, and then set about creating his business. The farms Jake works with all meet his baseline criteria, but vary otherwise. Some of the meat is organic, some isn’t, and most of his beef comes from Wrighteous Organics, where the cows are fed on grain (not grass). “Most people aren’t interested in grass-fed,” Jake said. “Grass-fed beef isn’t nearly as fatty, or marbled. It doesn’t look as good in the package. I buy less of it because it sells less.” For the moment, Jake also sells only frozen meats, although he hopes to be selling fresh in the fall. Jake’s prices are surprisingly affordable, an advantage he attributes to the structure of his supply chain: farmers — slaughterhouses – Farmstand — consumer. Acting as middleman between producer and consumer, Jake runs his business such that prices stay reasonable, and yet maintains a personal relationship with his sources that he can convey to his customers. Jake explained that his farmers don’t necessarily have the time to spend a day in the city, but that their relationship with Dickson’s enables them to reach urban consumers. While he can sell high-end cuts at the markets in the city, Jake mentioned the importance of being able to sell every part of each animal. 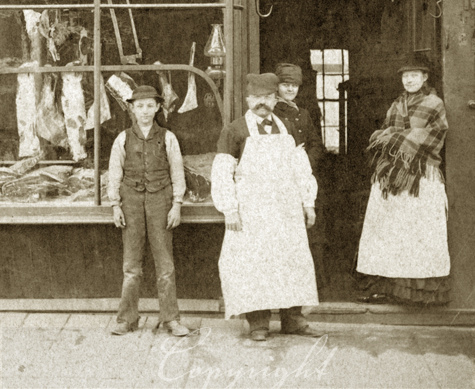 Working out of a butcher shop would enable him to produce more added value products, like sausage made with fresh ingredients, so he might achieve true nose to tail sales (and eating). This post is the first in a series of essays written for the New Amsterdam Market. Each essay stems from a conversation between the author and a vendor who participated in the New Amsterdam Market of June 29th. The essays seek to address each vendor’s (food-related) enterprise, to highlight the reality behind their commitment to sustainability, and to convey the voice and personality that they bring to their work. A conversation with a working chef is usually a somewhat brief, rapid-fire exchange. You the non-chef must make your point, and make it quick, preferably to the rhythm and speed of vegetable chopping, egg whisking, or bread slicing. If the chef likes you, he or she might look up. Not so a conversation with Caroline Fidanza, chef of Brooklyn restaurants Diner and Marlow & Sons. Caroline met me with a confident, modest manner, a warm, thoughtful eloquence. 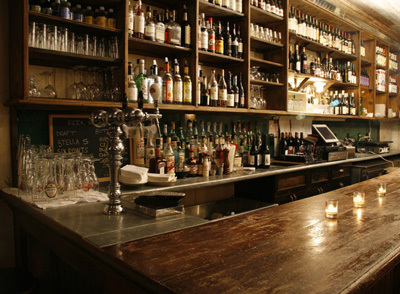 New Amsterdam Market has had a few years to gain her dedicated support and understanding, and sitting at the white chipped tables in the handsomely dark, dim lighting of Marlow & Sons, I was charmed by her welcoming warmth, her glow of youth and experience. Marlow & Sons, Andrew and Mark’s second restaurant, opened next door to Diner in 2004. Both locations serve lunch and dinner, on tables in and outdoors. Caroline and I sat inside, where the warm lighting reflects off bottle-lined shelves and mirrors, and chalkboards list the offerings of the day. The July 11th menu included a soup of Kale-Ricotta Tortellini in a Vegetable Broth with Parm & Basil; a list of sandwiches: French Egg Salad, Italiano, Pressed Fontina, and Pork Tenderloin; and various plates, including toast with house-made nut butter, quiche, charcuterie, chicken liver pate, and a market salad. There were cheeses available from New York, Virginia, and Oregon. For desert: house made strawberry ice cream with a brown butter cornmeal cookie. 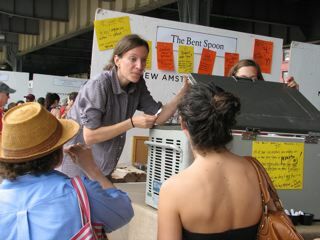 Caroline emphasized the community element of the “sustainability” she feels will be encouraged by the New Amsterdam Market. A strong force behind her commitment to regional foods is a feeling of loyalty to New York State. 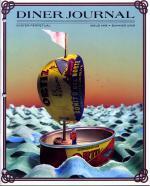 “I’m looking to New York to rally together,” she said, “to have it’s own economy of food production. This city forgets it’s connected to the state! New York State is struggling, and has been for a long time. I will always choose stuff from New York, even if New Jersey is closer.” Raised in upstate New York, Caroline admits to thinking her hometown Poughkeepsie “was the worst!” when she was growing up. Now of course, she wishes New Yorkers would take more pride in the food produced in their State. She is sure the farmers and producers in the state would rally, if there might be a consortium with a place, a Market of sorts, where the economy could thrive and the community might gain strength.